So just like a garden, a portfolio of shares is a dynamic entity which changes through the economic seasons. And just like a garden, a portfolio of shares needs regular care and attention if it is to reach its potential. I’ve written about buying shares (on multiple occasions), selling shares and diversification before, so in this post I want to focus on how these aspects of portfolio management come together in the real world on a regular basis. If a company announces new annual results then I’ll create a new Company Analysis Spreadsheet for that company by copying last year’s spreadsheet and updating it for the newly announced revenues, profits and so on. I’ll then read through the annual results and jot down a few notes on how the company’s performing and where it’s heading. For interim results I don’t update the company’s spreadsheet, but I do look at how revenues, earnings etc. are progressing. Again, I read through the results and make a few notes on anything I think is relevant. These are shorter updates and I usually just skim-read them as they rarely contain anything material to a company’s long-term future. How much attention I pay to these depends on how large their impact is on the long-term future of the company. For example, if the announcement is for a small acquisition, I’ll just skim-read it. But if there’s a major regulatory change that could have profound impacts on the whole industry, I’ll read it in more detail. This process usually takes a few minutes each morning. When there are annual or interim results to review then of course it takes a bit longer; perhaps half an hour or so for each annual results review. Although I do this daily, I don’t think it would hurt to do it weekly and most weeks this RNS review should only take five or ten minutes, max (assuming you’ve set up filters to filter out most of the junk). I’ve written about investment diversification before, so here I’ll focus on how I try to control these risks on a monthly basis. The first thing I do is update the Portfolio Analysis Spreadsheet to reflect changes in the value of each holding. The spreadsheet can then work its magic and tell me how exposed the portfolio is to any one company, sector or country (the UK in my case). For example, here are some charts showing the model portfolio’s current exposure to each of those three risks. 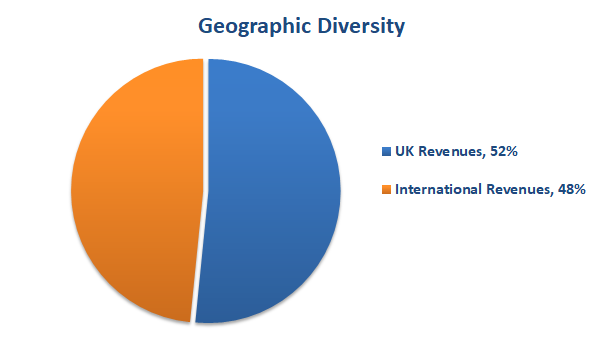 Don’t have more than 50% of the portfolio’s total revenues coming from the UK (or any single country). Why is the portfolio slightly over-exposed to the UK? Because over the last year or two UK cyclical stocks have, for fairly obvious reasons, become attractively valued relative to other companies. And because I’m a value investor I go where the value is, and to an extent that’s in UK cyclicals, at least for now. However, if things go badly and the UK has a lost decade or two, then investing heavily in UK cyclicals could be a bad idea. And that’s precisely why I have a soft limit on how directly exposed the portfolio can be to one country’s economy. You can get data on the geographic source of company revenues and/or profits from SharePad, or you can often find it in the latest annual report. 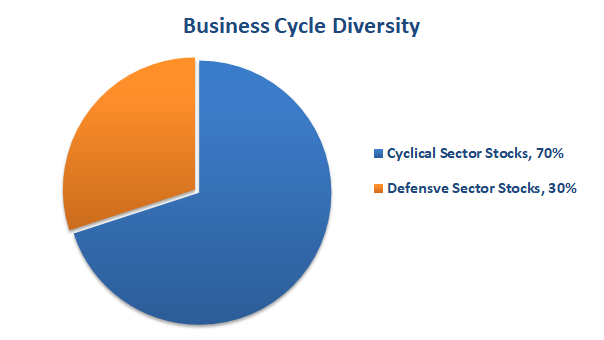 Don’t have more than two-thirds (66%) of the portfolio invested in cyclical sector stocks. Having 70% of the portfolio invested in cyclical sector stocks is obviously too high, and this will affect my future investment decisions, which I’ll get to in a moment. 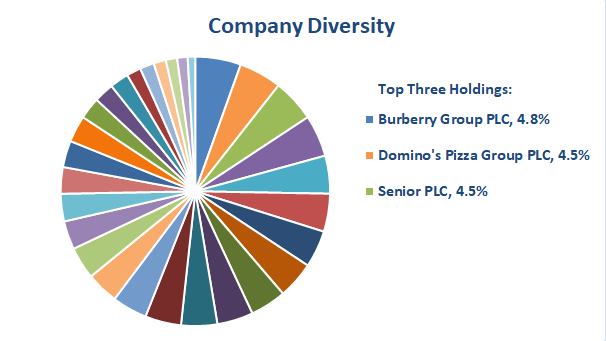 Having looked at the portfolio’s diversity, I’ll then update the Portfolio Analysis Spreadsheet to take account of any new annual results (although you could also do this when reviewing the results as part of your daily or weekly process). That means updating metrics such as 10-Yr Growth Rate, 10-Yr Profitability and 10-Yr Average Earnings on the spreadsheet for the relevant companies (and those metrics are calculated automatically by the Company Analysis Spreadsheet). This portfolio-level check typically takes less than an hour per month, so it’s not exactly back breaking. And once this review is complete, the next task is to tweak the portfolio by buying a new holding or selling an existing one. BHP Billiton: Sold because the company was no longer attractive (its growth rate had collapsed in recent years). Beazley: Sold because the share price had grown too fast (up 100% in two years) and the share price was no longer attractive. AstraZeneca: Sold because the company was no longer attractive (its growth rate had decline and its debts increased substantially). Victrex: Sold half of this investment because it had grown by 80% in five months, by which time it made up more than 6% of the portfolio (I don’t like individual holdings to exceed 6%). Weeding (selling an unhealthy company): A company becomes unattractive because it’s growth, profitability, debts or something else has become significantly worse than when you invested in it. Removing (selling a healthy company where the share price has grown too fast): A company has perform well, but that success has made the shares popular and expensive. Pruning (selling half of a healthy company to reduce its position size): A company has performed well and the share price has increased to the point where the holding is too big, but the company and share price are still attractive. Out of thirty holdings, I currently have three companies in the portfolio from the Support Services sector, so even if the UKVI stock screen‘s top-rated stock was a Support Services company, I wouldn’t buy it. 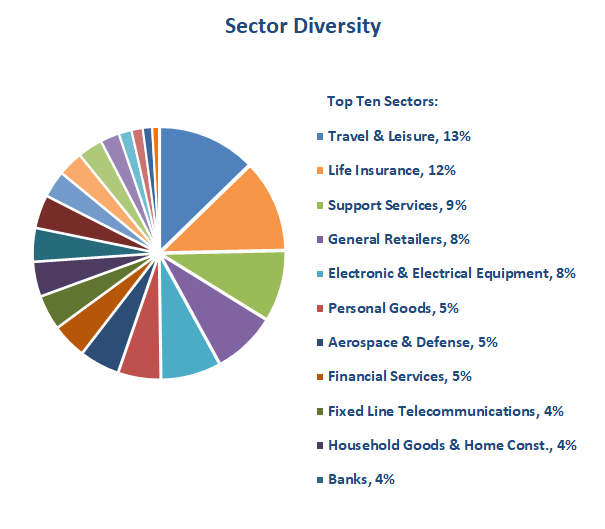 Doing so would leave the portfolio too exposed to risks that are specific to that sector. And as for UK cyclicals, I’m currently trying to not buy any. Yes, they’re plentiful at the top of the stock screen, but simply hoovering up UK cyclicals would be very risky and the fallout from any sort of Brexitageddon could be devastating. Having kept up to date with company news on a daily or weekly basis and measured and tweaked the diversify of the portfolio on a monthly basis, the final portfolio management task is to measure performance. My take on this is slightly different to most stock market investors in that I’m not interested in daily, weekly, monthly or even yearly performance. That’s because in the short-term (i.e. anything less than about five years), the market’s random walk will overpower the underlying performance of the companies you’re invested in. So although your portfolio’s total revenues, earnings and dividends might go up by 20% over three years, that can easily be wiped out by a short-term, temporary market “correction”. But over five or ten years, such corrections are likely to be overpowered by the long-term, sustainable growth of the companies you own (assuming your investment strategy is sound). I won’t belabour this point as it’s not overly complicated. You can just use a spreadsheet’s Internal Rate of Return function to calculate returns, including cash in and out. Or you can unitise your portfolio, just like a unit trust. And here’s a quarterly performance review I made earlier which goes into some more detail on why tracking short-term performance is such a bad idea. So in summary, portfolio management is a lot like gardening. Share portfolios require a small amount of work on a regular basis to keep them healthy, attractive, growing and robust. None of this takes very long, apart from analysing new investments which you would probably be doing anyway. And for me, the time spent keeping up to date with each holding, as well as the portfolio’s overall diversity and performance, is just another form of sensible investing. I have dabbled with shares with some success and some failures. Overall, it’s been a good financial choice (but that might be due to when I started investing and how prices are now very healthy). But I don’t know if the time I invested in looking at individual shares has been a good way to spend my time vs. just investing in trackers. If I spend 30 minutes once a week to get an extra 1% performance* on a £100k portfolio that has cost me 25 hours a year for £1000 = £40 per hour. Ok, not too shabby – but on smaller amounts, you’d be better off just using trackers. *ignoring the extra costs of investing in shares vs. etfs, like stamp duty and trading fees. This topic can get very complicated and probably doesn’t produce any useful answers. Personally I would say that most people are better off with trackers and that they should only invest directly in individual companies if they find managing and owning that type of portfolio both interesting and enjoyable. I agree – if you can do it, you should probably try doing it well. If you can’t do it well, then you should probably not waste your time on it. 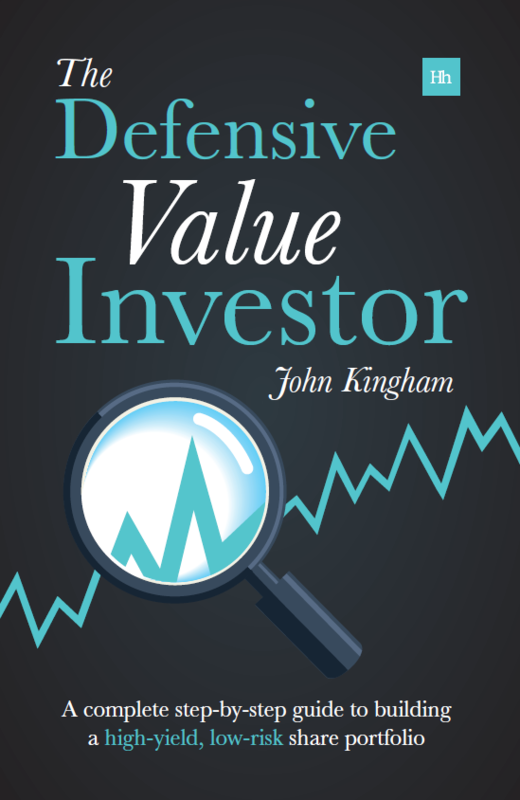 If most drivers think that they are above average – then the same is even more so for investors. My guy feeling is that 80% of investors are worse than average and 20% are above average with maybe 20% of that 20% making more money than everyone else put together. 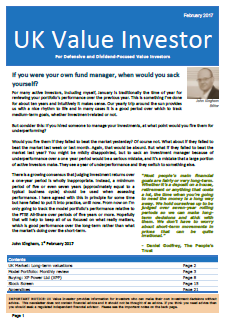 Thanks for the post though – I enjoyed reading a well composed investment method. I completely agree, most people are not well-suited to active investing. That’s actually the main reason for this website. I think I’m reasonably well-suited to it and hopefully other active investors can benefit from some of my tools, research and general ramblings. But yes, for most people they’re better off accepting the returns of a stock/bond index at best, and spending their time on something else. Gentleman’s Family Finances might find Gary Antonacci’s book and website of interest: https://www.optimalmomentum.com. Thanks for the link James. I’ve found the Investegate RSS feeds by company to be pretty slow and buggy. Most annoyingly, two letter tickers like NG. and BP. break the page entirely, and so does BT.A as in your example John – which made me think of this. Unless you’re doing something different to get it working? These load much faster anyway, and allow you to ignore a lot of the junk news straight away. The downside is you get all publicly traded companies and have to filter the ones you want but that’s fairly straightforward in most readers. The other downside is they don’t go back that far so your reader really has to check them daily. Hi Roland, thanks for the info. I hadn’t realised that BT.A and similar codes break Investegate’s RSS links. I guess it’s just luck that I haven’t invested in BT or other companies with that sort of code. As for a workaround, I don’t have one yet.